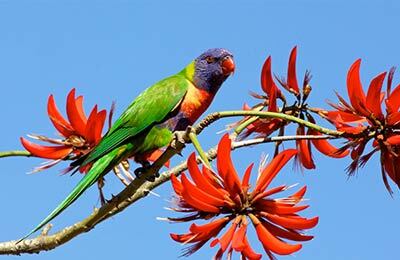 Magnetic Island (or "Maggie", as the locals call it) lies within the Great Barrier Reef World Heritage site, with plenty of hidden treasures. The island has over 20 pristine beaches and bays, many of which are only accessible by boat making them secluded and peaceful. Ferries to Magnetic Island are available from Townsville, in Queensland. You can book your Magnetic Island ferry with AFerry. Magnetic Island is situated just 5 miles from the city of Townsville, Queensland, Australia. The island is accessible by ferry from Townsville Breakwater to Nelly Bay Harbour. Originally known as Yunbenun by the Aboriginal traditional owners, the name "Magnetic Island" comes from the apparent "magnetic" effect it had on Captain James Cook's ships compass as he passed the island in 1770, but these days the locals affectionately refer to the island as just "Maggie". Only 25 minutes by ferry from Townsville, Magnetic Island is actually a suburb of the city, with a permanent population of around 2,500 inhabitants. 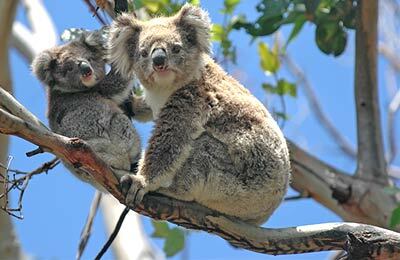 Almost three quarters of the island is National Park, and is home to koalas, rock wallabies, brush-tail possums and a huge array of bird life. 24km of tracks guide visitors through the varied terrain. There are also some short walks with pavement, making fantastic views accessible for strollers or wheelchairs.